Innovation is a nuanced concept that can take on a different meaning for everyone. At John Hancock, it means evolving our solutions to deliver greater value and advancing our mission to make customers’ decisions easier and lives better. It’s important that customers have access to financial products that fit into their lives, reflect their values and support their holistic well-being. A crucial component of achieving true innovation is looking outside our four walls. John Hancock is always looking for promising companies and technologies that could set us all up for future success, as the partnership between startups and financial firms is imperative to our industry’s evolution. 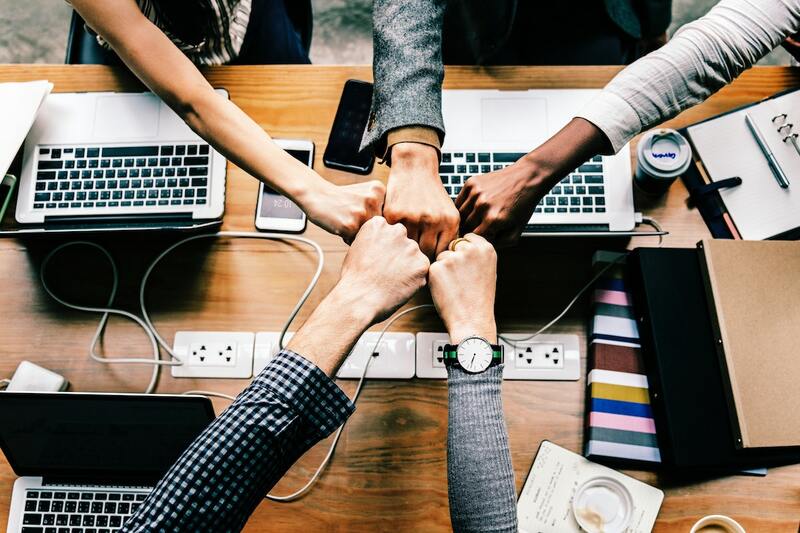 Firms and startups have historically worked separately – and with differing business models – which can cause a disconnect for collaboration. There are many startups out there that don't realize they have solutions that could help make firms like us more efficient. When you're a 25-year-old entrepreneur right out of grad school and haven’t worked in a large financial services firm, you might have no idea that a specific problem we routinely face is even difficult. Take fax machines, for example: There are large financial organizations that still deal with faxes, but some entrepreneurs have never seen a fax machine before. How do you know to solve an issue that you didn't realize existed in the world anymore? In the end, startups and established companies need direct collaboration, which is where MassChallenge FinTech comes in. Through the MassChallenge FinTech program, financial firms in the Boston area have the opportunity to work with startups to accelerate emerging products and services. It’s a relationship from which both sides benefit. John Hancock will work with as many as 10 startups through the program this year, sharing resources for creativity and innovation. Our goal is to reduce the friction costs for startups to begin doing business with us, whether that’s through a proof of concept or the validation of ideas. Startups gain direct access to experts in asset management, retirement, financial advice, and insurance. By interacting with us early on, startups truly understand our company’s pain points and help us narrow our scope on a project we might not otherwise prioritize in our daily work. Working with fintech startups offers a fresh perspective and allows us to shift processes and work against a tight deadline. It’s a unique experience that we feel lucky to be a part of. Much of this collaboration takes place in John Hancock’s innovation lab, the Lab of Forward Thinking. The LOFT was launched in Boston in July 2015 as a testing ground and has become the perfect environment for incubating new, digital-first solutions. We believe teams work better and faster in a flat organization, which is how the LOFT operates; teams of business strategists, designers, engineers and data scientists all work together to explore emerging technologies that could shape the future of our industry. They take a fresh look at how we build new products to adapt to our customers’ changing wants and needs. A great success story is Twine, a savings and investing app that’s built for collaborative finance. The app originated as a solution that takes the stress out of managing shared finances and became a startup incubated within our walls. A Twine survey of 1,000 adults in long-term relationships revealed 74% of couples share a checking account, 68% share a savings account, and 68% share one or more credit cards with their significant other. Twine allows individuals and couples to set financial goals and track their progress across the board, whether they’re saving up for a vacation or a down payment on a home. The close collaboration and innovative spirit behind the development of Twine are two key facets of the culture we work to instill throughout the rest of the business. For example, the LOFT hosts an annual Hackathon in which employees across all levels and disciplines can bring ideas to the table for the chance to receive the funding and resources to bring it to life. Most recently, the hackathon resulted in the development of COIN, a new conscious investing platform that launched just a few weeks ago. COIN empowers individuals to make a difference with their money by building personalized portfolios around causes that are most important to them. From pitch to product, many people with different backgrounds and perspectives helped make this possible. I’m excited to officially introduce COIN to market, and I believe it’s a testament to the power of entrepreneurship and innovation across our business. I am proud to say John Hancock’s company culture is one that fosters innovation; to us, collaboration is king, customers are our focus, and curiosity is encouraged. In fact, one of our core values is “Think Big”; we encourage employees to question the status quo, be curious, push boundaries, and tackle challenges. Great ideas are brought to life in this environment – ideas that turn into solutions and make a difference in our day-to-day lives. Our company made a bold, innovative move last September to leave the traditional life insurance model behind and incentivize customers to live longer, healthier lives. In doing so, we announced all John Hancock life insurance policies will come with Vitality, a tech-enabled behavior change platform that rewards customers for the everyday steps they take to stay healthy. With this statement, John Hancock hopes to change the game for an industry that has been slow to embrace innovation. This is one way we’re making big plays across our business – and we hope to continue this trend through our valuable partnerships with innovative startups. 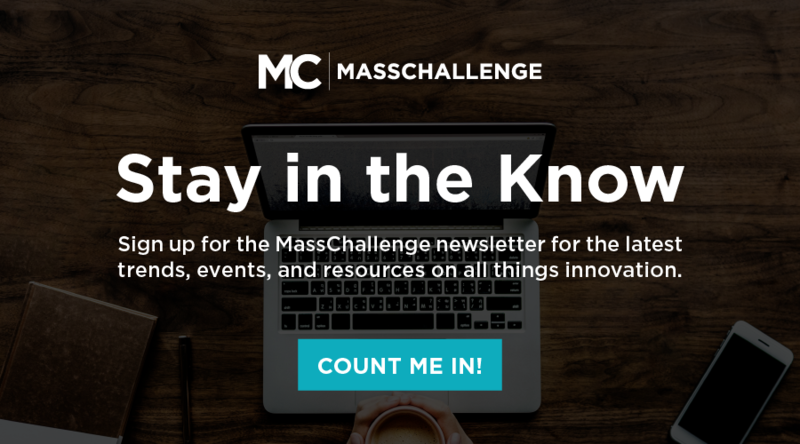 John Hancock is very proud to be a founding partner of MassChallenge Fintech, and we look forward to sharing our experience and resources with entrepreneurs who, like us, seek to make decisions easier and lives better.